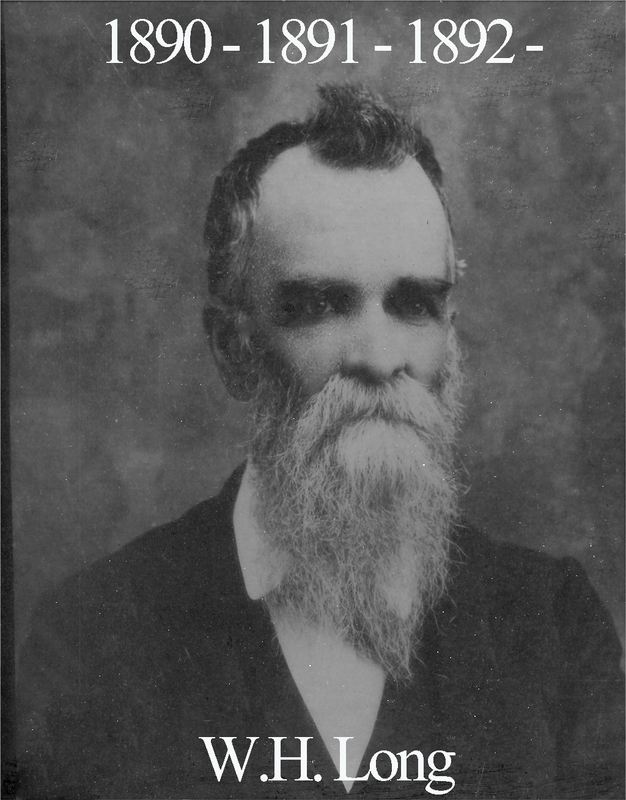 He affiliated with Waco 92 in October of 1874 where he established himself as extremely conversant in the esoteric work. He served in the East for three years, no doubt a sign of respect from the brethren of 92 despite our rather empty record of his life and career. “If from the garden of memory I should today pluck a sweet-scented forget-me-not, and start around the world to place it by that grave above which their gathered not one unfriendly thought or ignoble memory, I would pause and lay it with loving hands between those two mounds whose sacred sod sleep in silence and in peace Professor W. H. Long and wife. If those who still cherish with fond devotion the services of these two while living, and reverence their memory while dead, should each today place a rose by their tomb, it would form a floral monument towering above the marble shafts of the earth. First it would be to catch the caressing beams of the morning sun, and last it would be to behold the close of day as it kissed the coming night farewell. From this eulogy we can surmise that WH Long and his wife worked and lived as advisors to Baylor men living in the Maggie Houston Hall dormitory. They apparently did so with distinction and in such a manner that strikingly impressed Bro. Neff.